Work as if you lived in the early days of a better nation. The Irish people's psychological connection with the future has been severed. Sure, the demise of the Celtic Tiger and its get-rich-quick promises was abrupt and precipitous. But that bereavement was waked and buried long ago. And yes, it has been a tough three years of recession, cut backs and uncertainty. But we've experienced worst (some of us several times). No, something else has happened and I'm not sure that there's a precedent in our recent history. We no longer have a shared narrative about our future as a nation - one that we tell one another about our lives, our communities and our country. In recent generations that binding narrative was about Europe. About our place in an evolving Union of peoples who shared a common desire to build a peaceful and prosperous Europe, as well as a desire to embrace other peoples willing to share the same ambitions. But the European Project is dead. The shameful and shaming deal foisted on Ireland by the ECB/EU/IMF has killed the Irish romance with Europe. Sure it was a self-serving romance at times, but our enthusiasm for the euro and for most other manifestations of 'Europeaness' (from kilos to kilometres) suggested something more than calculated self-interest. 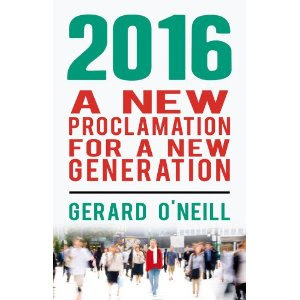 We are a small country that has, in recent generations, embraced the fullest role possible for Ireland in the world. Europe was our chance for exaltation among the nations. Worse, the very deal itself, with its offer-you-can't-refuse options, now locks Ireland into a programme for failure. By burdening the Irish taxpayer with the liabilities of the ECB and the bondholders in Irish banks then there is no, credible path to sustainable recovery for a country with even Ireland's productive capacity. Without that burden we could have regained the path - making the necessary adjustments to the size of the state along the way. But now the day of reckoning - be it default or debt forgiveness - has been postponed but not cancelled. In a way, today's Budget 2011 is simply a distraction. The country is in receivership and the ECB appointed receiver is allowing the existing management team to continue trading so long as they expedite the repayment of all secured loans. It doesn't have to be this way. Ireland is a sovereign nation (still) - not a company subject to the whim of court-appointed receivers. We need to look beyond an accountant's book-keeping exercise in the form of a four year 'recovery plan' and instead map out our nation's path to destiny. Put simply, there is only one duty that befalls each generation - to bequeath a better country than the one we inherited. The twentieth century has left us with states which have grown so much that they now account for around half the total economies of Europe. This growth has been in response to a combination of democratic preferences for ever greater transfers, and to the irresponsibility of Keynesians in respect of fiscal policy. Over time a greater and greater mortgage has been written on the future – on the mistaken Keynesian assumption that the long run would take care of itself, because economic growth - measured by GDP - would make future generations much better off than current ones. Borrowing from the future to boost current consumption is only desirable if sustainable growth is assumed to be high enough – after accounting for the state of the assets being transferred to the future. The growth of the state has, since the beginning of the twentieth century, indirectly added significantly to that mortgage. ...Current consumption is not sustainable – or put another way – savings and investments are too low. There is next-to-nothing in today's Budget that signals any awareness of our obligations to the next generation. Yes, we have an obligation not to burden the next generation with intolerable debts (especially debts incurred to fuel conspicuous consumption and mal-investments). So paying down our debts (public and private) is economically necessary and morally imperative. But - instead of judiciously selecting those expenditures that will deliver on our bargain with the next generation - we get cuts to child benefit but not to pensions, and the protection of middle class university access whilst support for the educationally disadvantaged is slashed. So what is to be done? We need to create a future we can believe in. We need leaders - political and non-political - to set out a compelling vision for our country in 2020 (I've put forward a few suggestions myself before) that delivers on our commitment to the next generation. And if that means replacing two year bonds held by senior bondholders with shiny new, low interest 50 year bonds with a balloon payment at the end for good behaviour, then so be it. We need to heal our psychological connection with the future. And the best balm is that provided by story: especially one that paints a compelling picture of how these dark days can become the early days of a better nation. And our children and grandchildren will wonder at the amazing things we achieved in the face of such adversity. What future will you bequeath? Ireland isn't locked into IMF/EU debt. If we can get money on the markets at a cheaper rate, we can do so. However, even talk of screwing bond holders has pushed the 10yr bond rate to levels that make the IMF/EU offer look attractive. Either way, cuts have to be made so that the budget isn't spending 15 to 20 billion more per annum than what we have in tax receipts. Pensions weren't cut to secure the votes of independent TDs/rebel FF. A new government is indeed needed to stop that tokenism. The EU has provided stability, prevented a more chaotic run on Irish banks and removed us from the grip of the Pound Sterling. It is easy to say that the romance with the EU may be dead but who is the Irish public in love with (in the face of economic crisis and austerity)? We are hardly in love with our own political system. If the present crisis finally forces us to grow up as a nation and stop acting like infants with hyperactivity disorder, it will not have been a complete disaster.